TLC is such a tease! 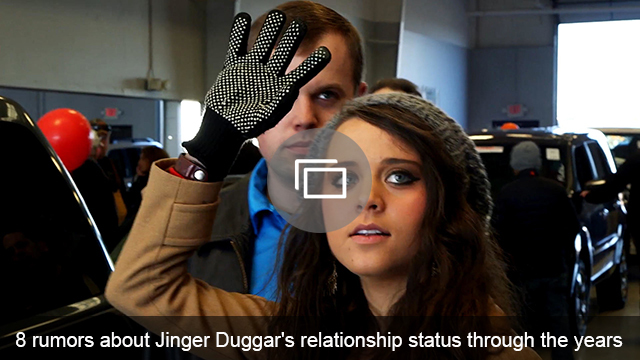 Counting On has been dragging out the suspense of Jinger Duggar’s engagement for ages now, stuffing the episodes with pointless anecdotes about airport delays instead of the proposal fans long to see. 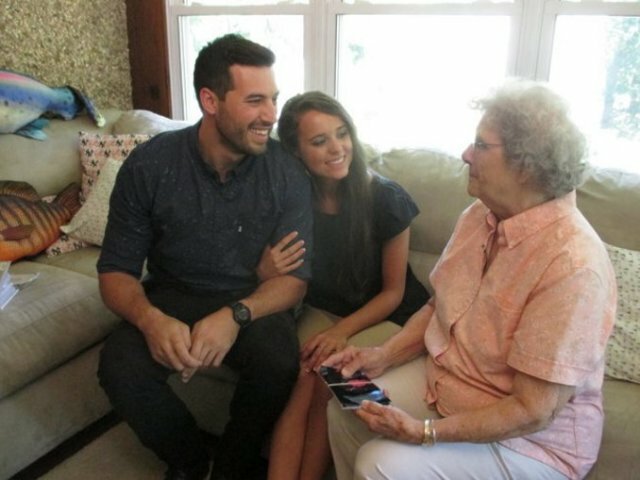 After a season that has been nearly universally panned as slow-paced and dull, Counting On has finally made it to the good stuff: Jinger Duggar’s long-awaited trip to the city, and more importantly, Jeremy Vuolo getting down on one knee and asking his “babe” for her hand in marriage. The moment was undeniably sweet, and therefore, worth the wait. After several days of fretting about the ring and the weather, Jeremy took advantage in a break in the rain and led his babe up onto a beautiful rooftop overlooking the New York skyline. As the cello played the couple’s favorite song, he got down on one knee and asked Jinger for her hand in marriage. I’m not normally one to get emotional while watching the Duggars, and no, I did not get all teary-eyed during tonight’s proposal. But I did smile to myself — even my inner cynic couldn’t help but pause for a moment as my more emotional side took in the beauty of the moment. I have my doubts about Jeremy, but I do think he can expose Jinger to new and exciting opportunities, and perhaps, a small slice of that city life she’s always desired. Say what you want about Jinger and Jeremy’s PDA and their limited vocabulary (which consists of “babe” and “I love you”), they are clearly head over heels. They have the most chemistry of any of the young Duggar couples thus far, and with all that sexual tension, it’s easy to see why they’re on the fast track. Their romance may look more like that of a junior high couple than two full-grown adults, but it’s sweet in its own way, and far less awkward than the preceding Duggar courtships. With the proposal out of the way, Counting On is bound to shift its focus to wedding planning. If you thought the countdown to engagement was long, it’s nothing compared to the wait you’ll have to endure before Jinger and Jeremy are able to (as Jim Bob Duggar so eloquently puts it) swap spit. Until then, I hope that TLC comes up with some interesting footage of the other Duggars, as opposed to the endless clip shows we’ve been forced to endure. But if the wedding is half as romantic as that beautiful proposal, the boredom will have been worthwhile. What did you think of Jeremy Vuolo’s proposal on Counting On?